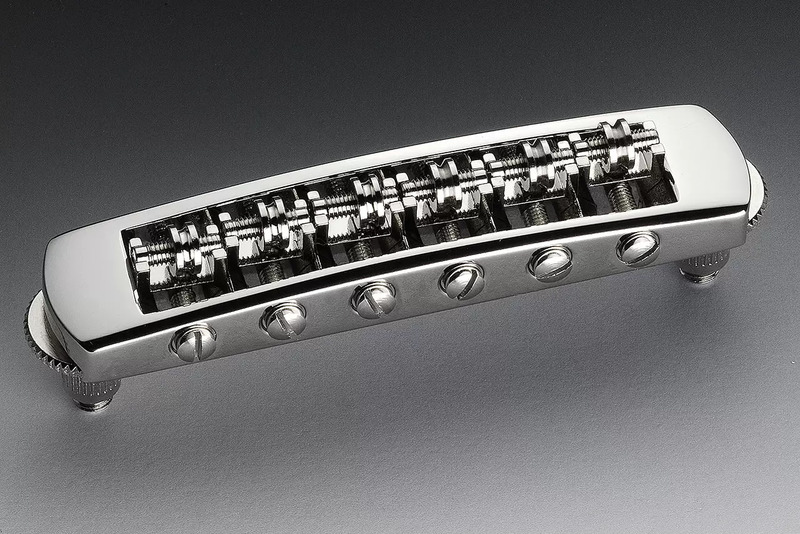 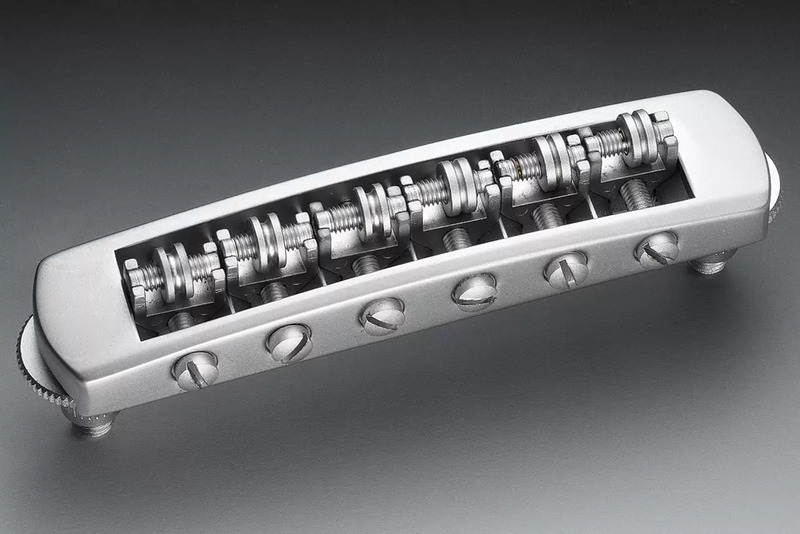 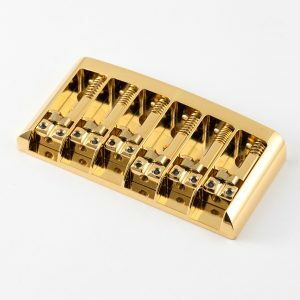 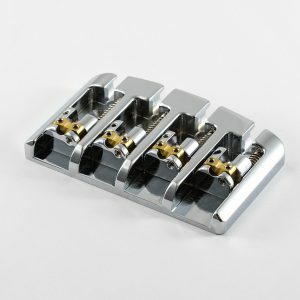 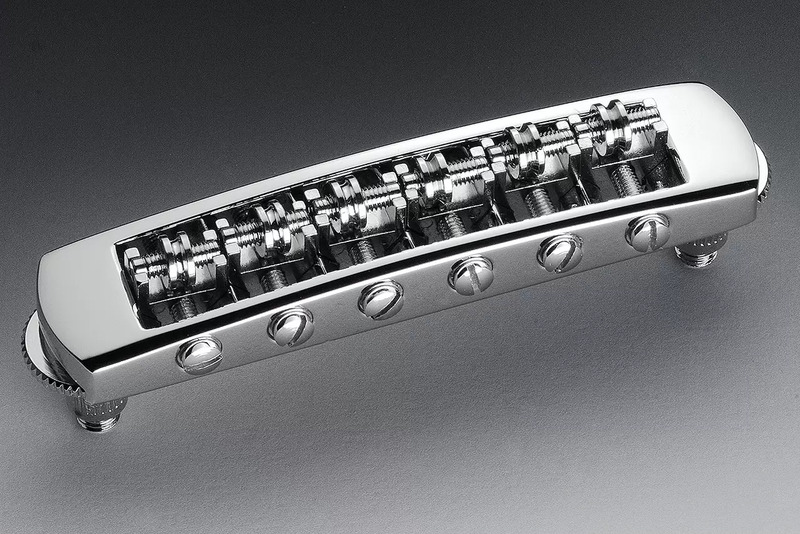 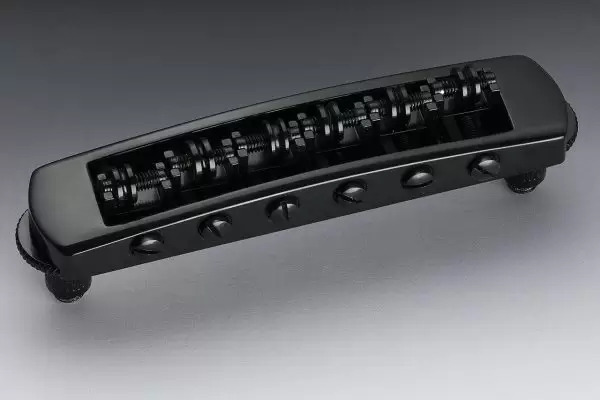 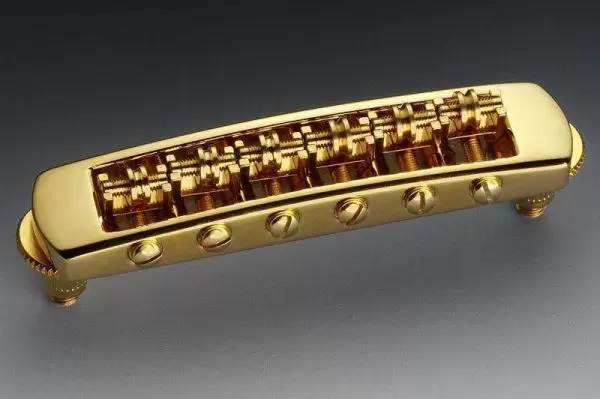 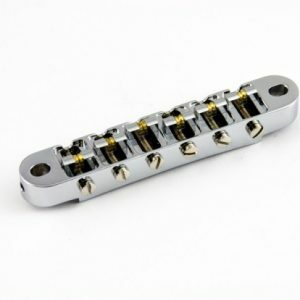 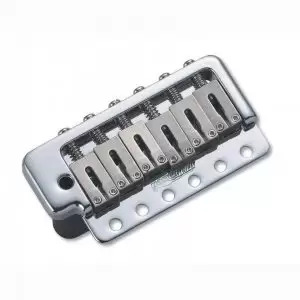 The Schaller Roller Bridge STM is their high-quality roller bridge for all Les Paul type electric guitars. The design of this bridge allows for adjustment in three dimensions. 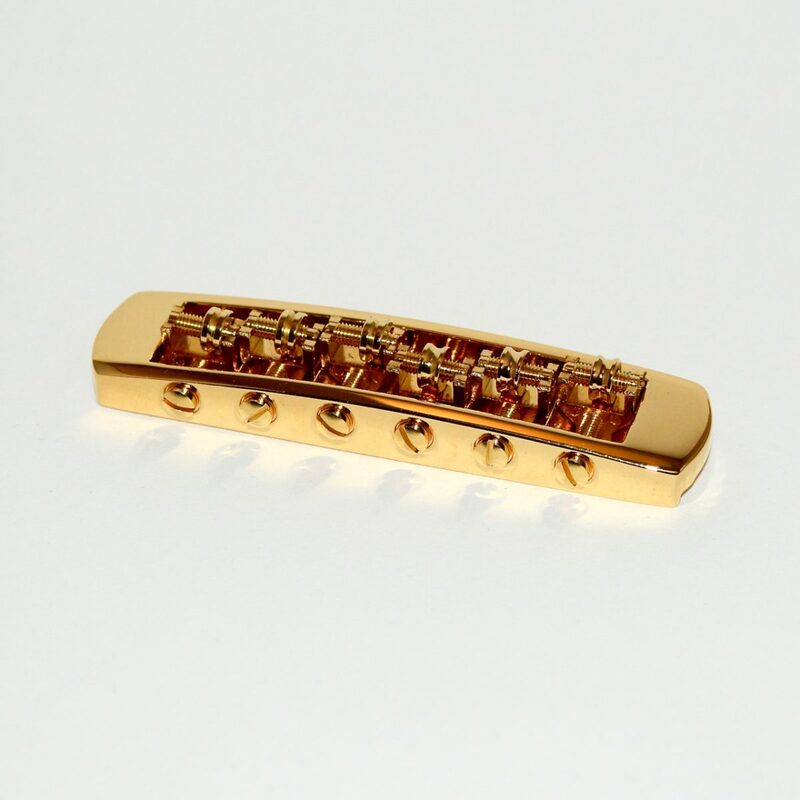 The usual height and intonation adjustments are available as well as the individual string spacing. 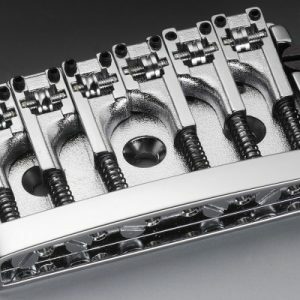 Schaller’s bridges are all pre-configured so that the screw heads are in the direction of the pickups/fretboard.